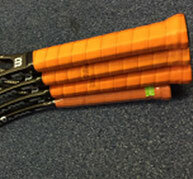 "My racquets play differently from one to the other!" 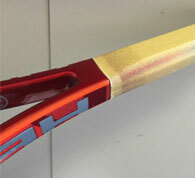 "I want my grips personally modified or specially customized!" "I need to be assured I will receive fast and dependable service!" "The string is the work-horse of the racquet!" 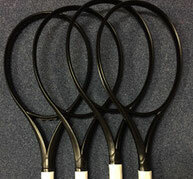 Our stringers are ATP, WTP and ITF seasoned tournament stringing professionals. We use the most up-to-date electronic stringing machines and offer a huge selection of strings to meet your needs and preferences. 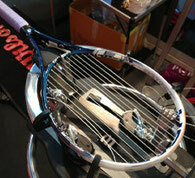 You can have your frames strung conventionally or with hybrid stringing to suit your performance requirements. 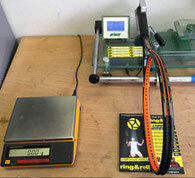 Our experienced stringers are ready to help you improve your game! "Only those with the right grip can control the outcome"